I am ready to proclaim that 2016 will be the Year of Mobile. Don’t worry—I’m only kidding. Quite frankly, if I hear someone actually proclaim that—and I know if I Google “Year of Mobile,” I’ll find plenty of articles in my search results—I will bang my head against the nearest wall until it is stricken from my memory. In other words, enough already with the “(Insert Year here) will be the year of mobile” nonsense. The world is mobile. We get it. Move on. The latest iteration of the Duke University Fuqua School of Business CMO Survey found that 40% of CMOs believe mobile marketing contributes nothing to overall performance. Conducted twice a year, this survey pulls back the curtain (or the doors to the CMO lounge) to take a peek at what CMOs are thinking on a wide array of topics. Among the topics this time around was mobile marketing. 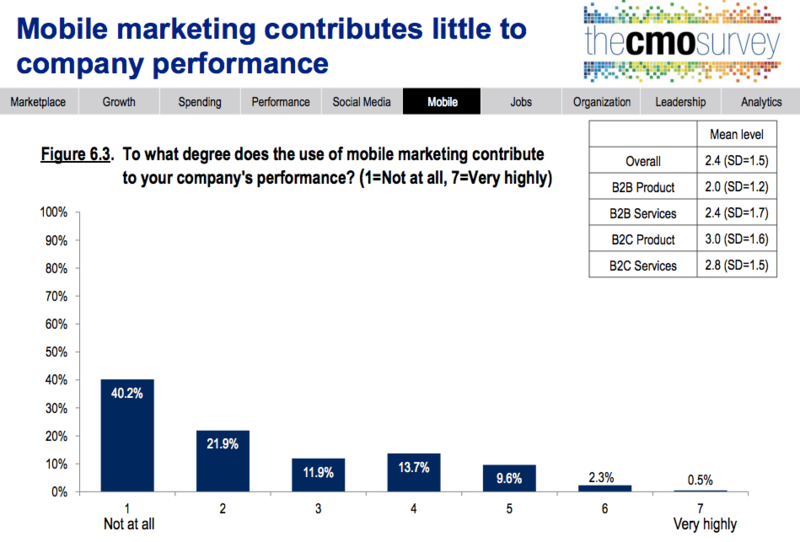 As you can see, 4 in 10 CMOs feel that mobile marketing is providing nothing when it comes to contributing to their brand’s overall performance. Forgive me, but am I the only one blown away by that stat? Why are so many CMOs disavowing mobile marketing? The CMO Survey also revealed that CMOs plan to increase spending on mobile marketing nearly 150% over the next three years. Huh? 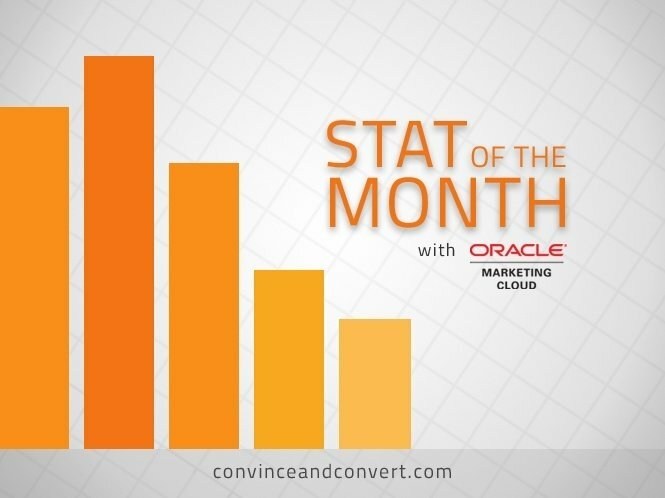 How could 40% of CMOs state that, on one hand, mobile marketing is not doing anything for their brand, yet on the other hand claim they have plans to raise their spending on it by almost 150% in just three years? CMOs believe they need to increase spending on mobile marketing because it is “what everyone is doing.” It’s that simple. It’s “mobile this” and “mobile that,” so CMOs believe in their hearts that they need to be spending more on mobile marketing. The problem, however, is they don’t know how to track or properly attribute results when it comes to mobile marketing. Results and metrics that should be applied to a mobile marketing campaign, for example, are not being attributed properly because their technology or platforms do not have the functionality required to deliver such results. The bottom line is there are indeed technologies and platforms that can provide CMOs this type of robust functionality that provides them with the insights and attribution they want and need when it comes to mobile marketing. But perhaps they don’t know where to look.